Good news for those of us who look out on flat black roof tops and shudder with thoughts of their lost potential. 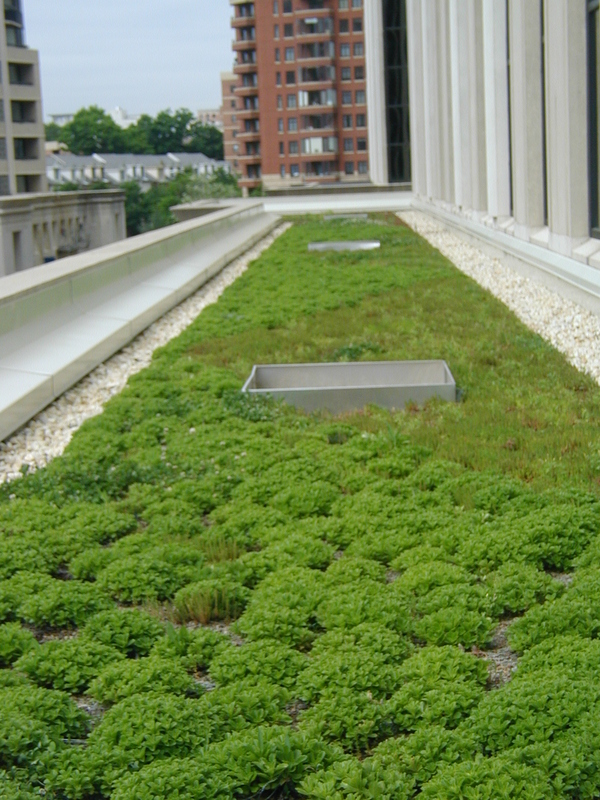 On June 24th, Assembly Bill 11226 was passed allowing building owners in New York City who install green roofs on at least 50 percent of available rooftop space to get tax credit for it. Property owners will be able to apply for a one-year property tax credit of $100,000. The credit is equal to $4.50 per square-foot area that is planted vegetation. This is essentially 25% of the typical cost associated with materials, labor, design, and maintenance. The Storm Water Infrastructure Matters (S.W.I.M.) spear-headed the initiative with the help of Assembly Member Ruben Diaz. The law goes into effect on January 1st 2009 and will expire in 2013. 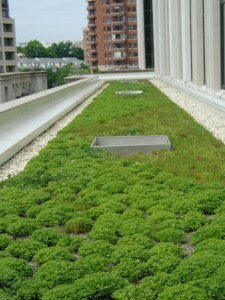 So, what does this mean for green roof expansion? Well, first of all, it is a huge step in the right direction. The fact that this has made its way onto the radar of the political agenda (thanks to S.W.I.M) is a huge leap from where it was before: an environmental special interest. But is 25% of the cost enough to bring new people into the circle of green roof development? Or is it just a nice perk for those who were interested in doing this to begin with? At the Institute, we often talk about reaching the 49%. If half of the population is not quite turned onto environmental sustainability and 1% is entirely gung-ho working in the field of advancing these causes, doing everything they possibly can, there is still another 49%. The are the folks who aren’t quite sure of what to do, but are certainly concerned and interested. In the building sector we would maybe see a similar breakdown. We probably won’t get slum lords to turn their buildings green and healthy, even if we give them 75% of the funding. But is 25% enough for those who are curious? I guess we will see. Congratulations to S.W.I.M for their victory. This really is an exciting development!